Introducing our Keynote Speaker, Canadian Senator Art Eggleton! Income inequality has been described as the “defining issue of our time.” It can lead to stagnant economic growth, more health problems, social dissension and a loss of hope. Senator Art Eggleton will discuss how inequality is playing out in Canada and offer solutions to make Canada a more equitable society where everyone can prosper. The ASI 2014 Keynote Event is free and open to the public, taking place at 6:30pm on Tuesday, August 19 in the Canada Pavilion at the PEI 2014 Celebration Zone on the Charlottetown waterfront. All are welcome to attend. Art Eggleton has served the people of Canada and the city of Toronto in public office for over 40 years. He was born, raised, and educated in Toronto where he worked as an accountant before being elected to City Council in 1969. He served 22 years as a member of Toronto City Council and the Metropolitan Toronto Council, most of those years on the Executive Committees of both Councils. From 1980 to 1991, for 11 of those 22 years, he was Mayor of Toronto, the longest serving Mayor in the City’s history. In addition, he served on the Metropolitan Toronto Police Commission, the Board of the Canadian National Exhibition, and numerous committees and task forces dealing with community issues. In recognition of his service to the City, Mr. Eggleton received Toronto’s highest honour, the Civic Award of Merit, in 1992. 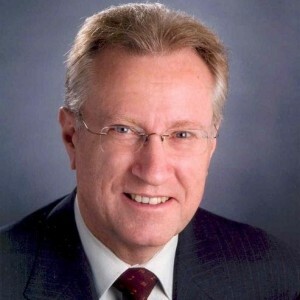 Art Eggleton served 11 years in the House of Commons as the member for York Centre in the city of Toronto. In 2005, Art Eggleton was appointed to the Senate of Canada. He currently serves as Deputy Chair of the Standing Committee on Social Affairs, Science and Technology and is a member of the Standing Committee on Transport and Communication and Human Rights. In 2012, he co-founded and is co-Chair of the All Party Anti-Poverty Caucus, a group consisting of Members of Parliament and Senators from all political parties. The Atlantic Summer Institute runs August 19-21, 2014 in Charlottetown, PEI.